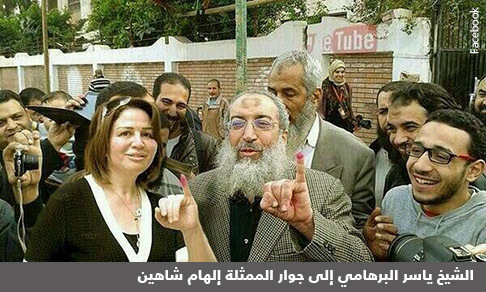 This widely circulated image juxtaposing actress Ilham Shaheen with a salafi Sheykh is a fake–but that’s all the more reason for analyzing it. My previous post described and (loosely) analyzed four recent editorials from Arabic newspapers to get a sense of the possible meanings of the referendum. There’s a similar effort to describe attitudes toward the referendum by Maged Afifi using four photographs. It’s a great piece, short, and well worth the read.